Airs Sunday, June 10, 2018, at 6 p.m. How can viewers distinguish between fact and fake news and is social media blurring the difference? 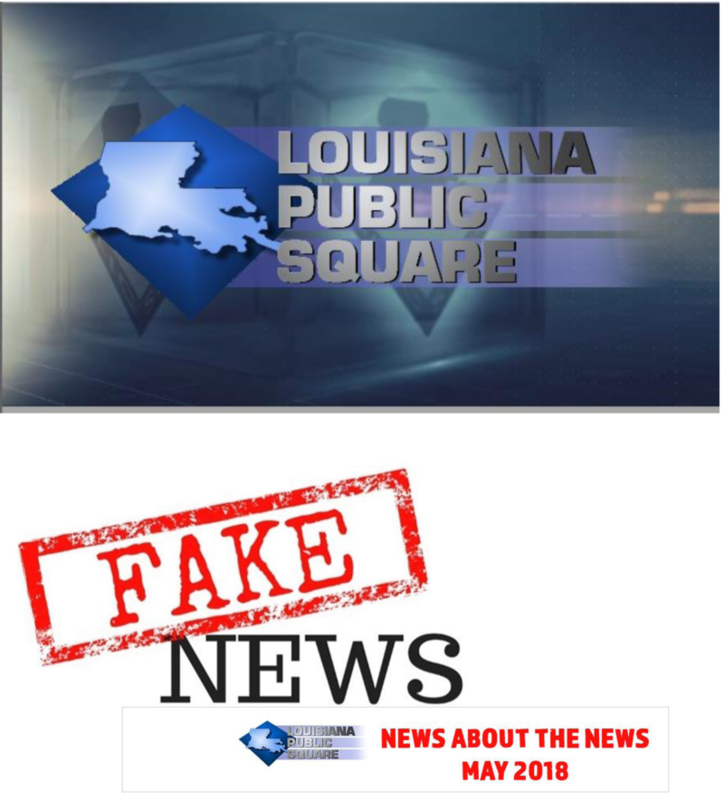 According to the 2018 Louisiana Survey, when it comes to trusting news organizations, more Louisiana residents put their faith in local media than national media outlets. Despite that trust, only 36 percent of the state’s news consumers say local news deals fairly with both sides. LPB CEO, Beth Courtney and journalist and political historian, Bob Mann moderate the discussion. The program features interviews with Michael Henderson, director of the LSU Public Policy Research Lab; Ray Pingree, Associate Professor wth the LSU Manship School of Communication; John DeSantis, Senior Staff Writer for The Houma Times and Judi Terzotis, president of The Advocate.